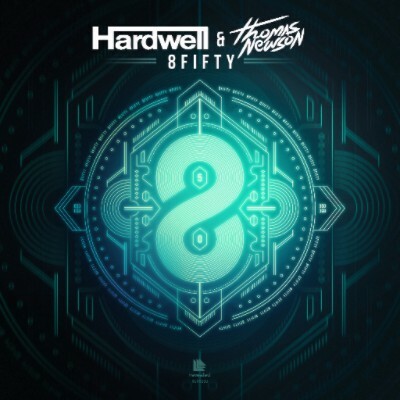 Revealed Recordings label boss Hardwell and possibly one of the imprint’s most exciting young stars, Thomas Newson, have put their production touches to a new collaborative effort entitled ‘8Fifty’. The track was written during their recent Revealed North American Bus Tour road journey and is aimed for big room spaces, which is fitting given the track also marks the 250th release on the label. ‘8Fifty’ aims to encapsulate everything good about what clubbers have come to expect from the label, whilst also showing how the label’s sound is evolving. Opening with a pitched vocal sample that gives the track a groove from the offset, the first break introduces the reggae vocal that pushes ‘8Fifty’ towards the drop. When it does come, it’s full of cranking percussion, playful melodies and a synth that may make any fan of Hardwell or Thomas Newson’s previous music go wild. The track goes into overdrive in the second breakdown, where a gliding riff soon makes way for the now-familiar reggae vocal to return and signify the explosion of music that is imminent. It’s out now on Revealed Recordings, check it out below.